"Creating A River Of Bubbling Thoughts That Bring Cheer All Round"
Elegant and intriguing, our Wall Hanging Water Fountains are aesthetically carved in a variety of shapes and designs to perfectly team up with the ambiance. We are one amongst the trusted names involved in manufacturing and exporting a wide range of wall hanging stone water fountains, which offer the complete luxury of a fountain attached to the wall. Contemporary wall fountains developed by us are known by their distinct and elegant carvings. We offer carved wall fountains, stone wall fountains, indoor wall fountains, outdoor wall fountains, large wall fountains, water wall fountains, garden wall fountains, interior wall fountains and many more. The Carved Wall Fountain is made of sand stone, which is highly acclaimed for its natural beauty that makes it useful for both interior as well as exterior decoration. The disciplined and dedicated effort of our artisans adds life to the intricately carved statues. There is an attachment of our artisans with the statues carved which gives an antique looks to the carved statues. 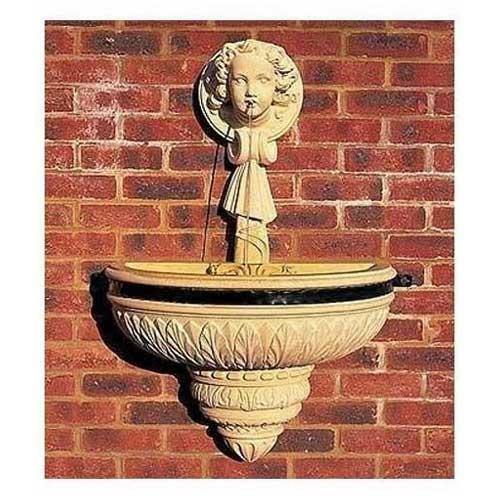 Figurative Wall Fountain is wall hanging stone water fountain creates a relaxing atmosphere with Italian flair. The elaborate back features a woman’s face centerpiece with water pouring from the spout into the deep round base. Rich in detail, this amazing water fountain is a must-have addition for any garden or patio setting. Delight all your senses with the soothing sounds of this fountain. Outdoor Wall Hanging Fountain is a beautiful mossy finish that will complement any garden decor, this wall fountain is the perfect choice. Water flows out of the spout and into the centered basin. Water then overflows at different points into the larger basin below. Displaying fascinatingly etched details, these magnificent decorative fountains add an unmatched grace to the surroundings. We are offering Wall Fountain to our clients. 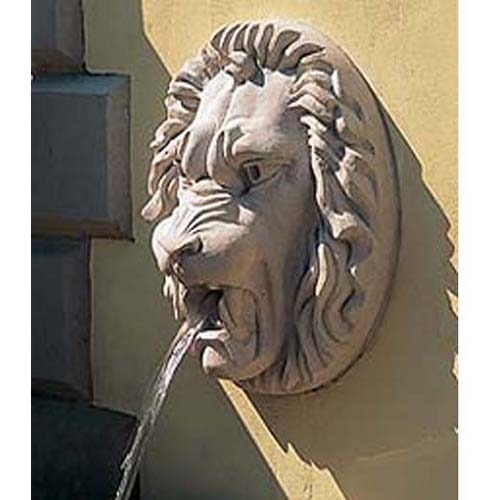 The scrolled back and commanding lion's face on this wall hanging stone water fountain will capture your guests' attention. As water pours from the lion's mouth into a deep, fluted basin, the soothing sound will calm your spirit and relax your mind. This fountain is durably constructed of reinforced concrete. When placed outdoors, age and the elements will enrich the beauty of your fountain. 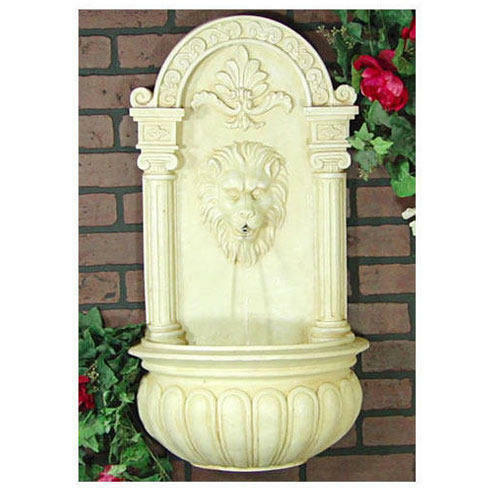 Looking for “Wall Hanging Water Fountains”?